“Let us think of ways to motivate one another to acts of love and good works. And let us not neglect our meeting together, as some people do, but encourage one another, especially now that the day of his return is drawing near” (Hebrews 10:24, 25 NIV). Throughout the New Testament, we find Scripture emphasizing the importance of local gatherings, or assemblies, of the people of God. It is in a local body that we find intimacy, commitment, accountability, and instruction that encourages “acts of love and good works” among fellow believers. God has called and ordained the local church to be a place where His people grow spiritually, hear the Word of God, receive biblical teaching, and are called into obedience (1 Timothy 4:13). The enemy would seek to undermine the ministry of the local church and disconnect believers from her protection and nurture. 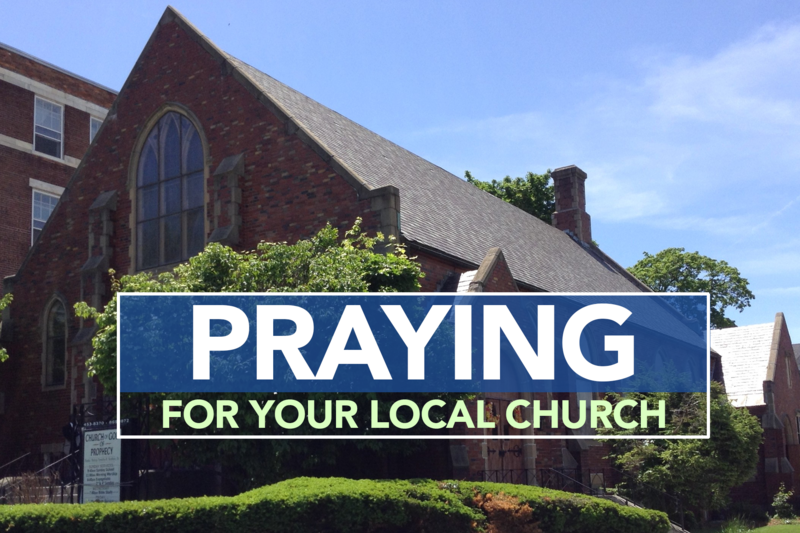 Throughout the month of July, we will unite to pray for our local congregations so that they may be useful to the Lord and make an impact in the lives of our congregations. Download this prayer guide as a bulletin insert here. Let us know you are praying with us by using #COGOPprays on social media to share your requests, inspirations, and praise reports. Prayer Ministries of the Churchg of God of Prophecy exists to cultivate a culture of prayer in our movement for the sovereign rule of God, resource each local church so that prayer can be their number one priority, equip every leader and member so they become characterized by prayer, and affirm our call to the family altar by making prayer a priority in every home.